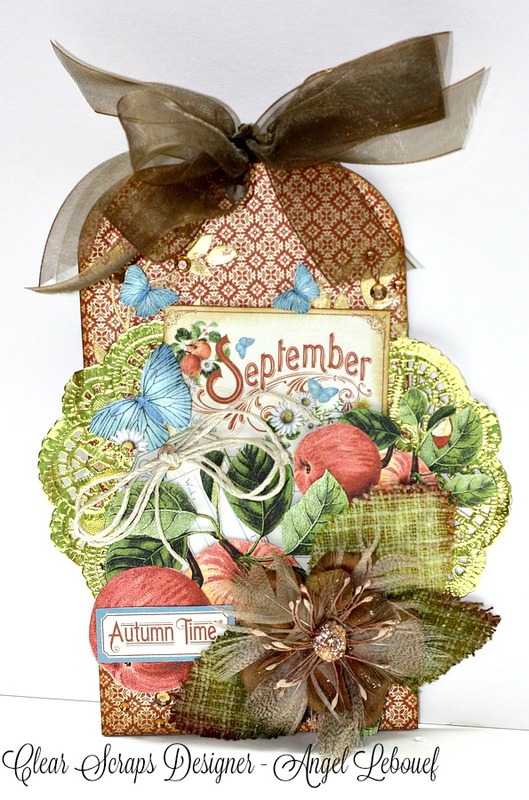 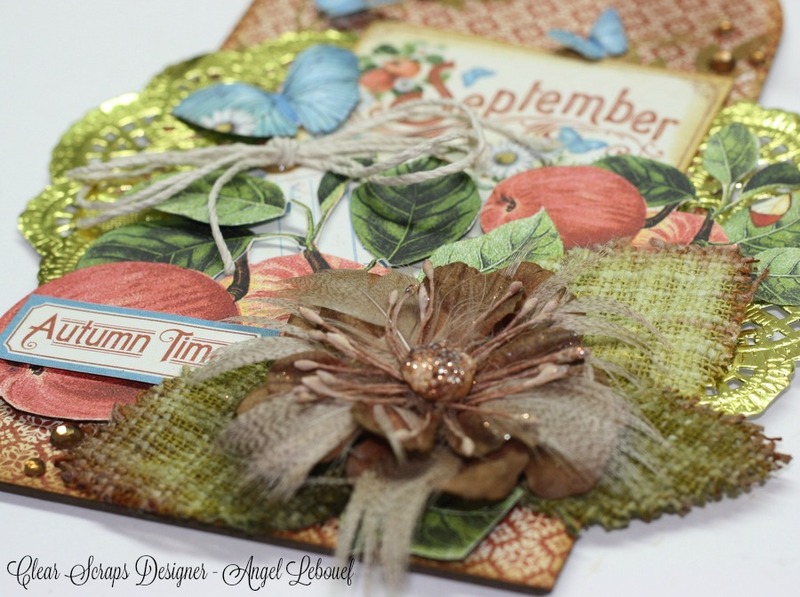 I made September's Tag Feature this month our at Clear Scraps Design. I used there chipboard tag from there store!! Other Supplies Used- Graphic 45 Time to Flourish 8x8 Paper Collection, Tim Holtz Walnut Stain, Heidi Swapp Metallic Texture Paste, Recollection Rhinestones, Prima Flowers-Guava Peony Brahms, Prima Lovely Fabric Leaves, the Paper Studio Die cut Gold Doily, Brown Sheer Ribbon, Twine, Scotch ATG, Scotch Quick Dry Glue, Pencil and Scissor. 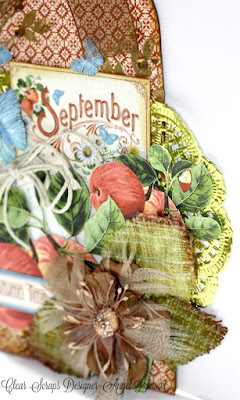 To know How I made this tag you can go to Clear Scraps Blog and print out the PDF!